This Self-Portrait (1888, oil on cardboard), painted shortly before the earlobe incident, shows an artist with a warped worldview and a very narrow opinion of himself. ". Vincent van Gogh ('Gogh' pronounced as if a fly is stuck in your throat while shouting 'GORG!') was a renowned Post-Dutch Pre-Depressionist artist of his time. He is one of the founding fathers of Alcoholics Anonymous (AA). He once cut off his ear with a potato knife. For the religious among us who choose to believe lies, the so-called experts at Wikipedia think they have an article about Vincent van Gogh. After five years of being sober,and after cutting his ear off for some reason, Vincent had a relapse. He ended up roaming around aimlessly before eventually pooping out an absinthe overdose - thus the old saying, "Absinthe makes the Van Gogh wander." Today, modern society still celebrates his life by not only purchasing his priceless paintings, but toasting to the artist regularly and joining AA and NA, and some radicals even cut their ears off to imitate their master. He was running out of ideas! The spelling of the name vangogh in Dutch is somewhat tricky. 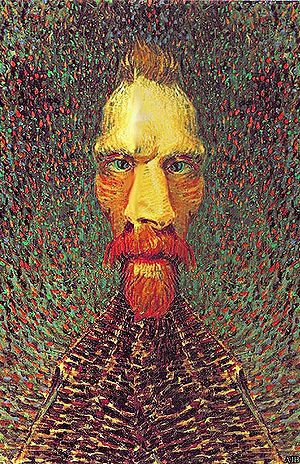 In Holland his name is spelt van Gogh or vangogh, except if preceded by a weak noun or a conjunctive prenoun, in which case the V is either capitalized or omitted altogether. Van Go'f is also a possibility. In its projective form, the N is capitalized, unless it's a false gerund. Dutch speaking Belgians, however, spell vangogh as VanGogh, Van Gogh, or simply VaňĜòàģĥ, depending on the region they're from. Since almost all of the rules regarding this spelling were revised during vaNghog's lifetime, spelling conventions differ. The name Vang Og is invariably pronounced as 'van go', except when non-Dutch speakers or reform non-Dutch (Belgian Dialect) French speakers are present. All of this is only marginally relevant since Vang'h'och was neither Dutch nor Belgian. The Arles born painter visited Holland only once. During that visit he hardly left his hotel room, except on one occasion when he asked for the mini bar to be refilled. Although it has been laid aside, it is still a fact that Van Gogh was a well known pop singer in his time. I mean his songs where played in every discotheque over the Europe during the 19th century. Even his closest friend Napoleon had no idea that he really painted with oil paint and that other thing that has hairs in one end. He also liked homosexuals, taking home the top prize in the Eurovision song contest seven times. One of 'Half-Deaf's' compilation albums. 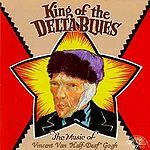 Van Gogh's pop music career surely overshadows his roots as a blues guitarist. Giving himself the pseudonym "Half-Deaf" he traveled the country playing with greats such as Muddy Waters and Howling Wolf. He didn't have the lyrical prowess of a Robert Johnson or the technical skills of a B.B. King, but he did, in fact, have the blues. Having been diagnosed with bipolar disorder and temporal lobe epilepsy, he certainly was a candidate for the blues. His alcoholism had made him one of the most rowdy and violent blues performers. He had a tendency to attack individuals who heckeled his music, complimented him on his music, and knew nothing about him or his music in general. Half-Deaf would often carry a broken switch blade on his person in the event of the need to threaten someone. This and his guitar were the few possessions under his ownership. Not much stayed in Half-Deaf's possession since he was constantly pawning things for drinking money. The guitar and switchblade stayed in his possession, because they were worth no monetary value due to their poor condition. 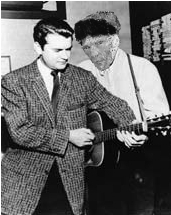 It was in 1953 that Half-Deaf had hit a big recording contract with none other than owner of Sun Records, Sam Phillips. It was here at this studio that Half-Deaf would perfect his sound. Sam recalls the moment Half-Deaf entered his Memphis recording studio. Phillips teaching Half-Deaf how to play the guitar. The result of Half-Deaf's recording session with Sam Phillips. It would be at this point that Half-Deaf would go into a downward spiral of drugs an alcohol. That is if he didn't start his music career using drugs and alcohol. So, it wasn't as much of a downward spiral as it was a short walk. After his failed attempts to sell, distribute, give away, pawn, drink, and burn his records Half-Deaf had realized it was time to hang up the guitar for good. After all, the guitar playing was getting in the way of his drinking, which was eating up a lot of time in his schedule. Bob Ross, the notorious cannibal, is attributed to chewing off van Gogh's ear in a failed attempt to eat him. King of Pop Michael Jackson died in June of 2009. Most people believe that he killed himself so that he would promote his music career, selling records at an alarming rate. This is similar to van Gogh, because he only sold one painting during his lifetime, but when he died, eleventy billion of his paintings sold in just 3.7 seconds. This page was last edited on 3 February 2019, at 18:52.